The PlayStation Eye is the successor to the PS2's EyeToy, and is noticeably superior to its predecessor. 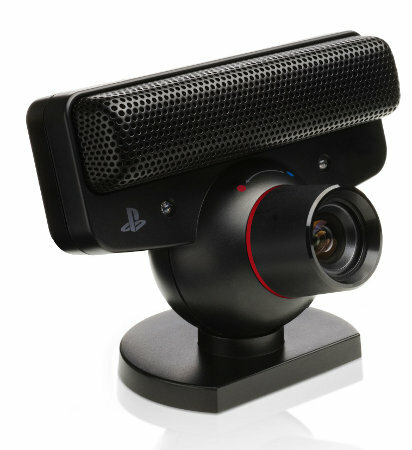 Sporting a higher-quality camera and built-in microphone, the PS Eye's dominant use has been for video chat via PSN. Video Chat can be accessed from the Friends column of the XMB (Xross Media Bar), outside of regular gameplay, and with the built-in microphone on the Eye, there is no need for a seperate bluetooth mic. The microphone can also be set as a default chat input device for multiplayer games, working as a passable substitute chat mic if needed. The PS Eye has generally been a little used accessory, by most PS3 owners. Sony is hoping that changes with the introduction of the PlayStation Move this coming September. The PS Eye is a required part of the PlayStation Move, visually tracking the colored sphere on the controller. This allows for a more precise measure of control than would be obtainable by only using the accelerometers in the Move controllers. The combination of the PS Eye and Move controller yields a 1 to 1 read of your motions, including the ability to read depth or, distance from the screen. This should result in the most accurate motion control gaming available. 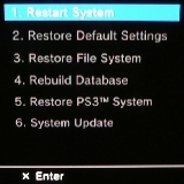 PS3 Games - Many PS3 games make use of the PS Eye and there is even a subsection of downloadable titles on the PSN store specifically for the PlayStation Eye. EyeCreate - EyeCreate is a free application on the PSN store that functions as a video/photo capture and editing suite. This can be used in conjunction with Firmware 3.4's video upload features to great effect. Games that use the PS Eye in unique ways. Eye of Judgement - The debut game for the Playstation Eye camera, Eye of Judgement uses the camera on a special stand aimed down at a playing surface for a real-life card game. Cards played on the mat in reality appear on the card grid in the game, with monsters manifesting from the cards in real-time. LittleBigPlanet - LittleBigPlanet allows users to capture their own 'stickers' for use in-game via the PlayStation eye. Custom textures and images for user-created content can be made this way. Burnout Paradise - Burnout's premiere PS3 entry can use the PS Eye to put your face on your in-game driver's license, as well as take automatic snapshots of player's expressions at the moment their cars are totaled by online opponents. Singstar Series - SingStar can capture video of karaoke gameplay and has a central server to which videos can be uploaded. Facebreaker / Rainbow Six Vegas / Pro Evolution Soccer - These games, among others, can capture your face directly for the creation of custom players.